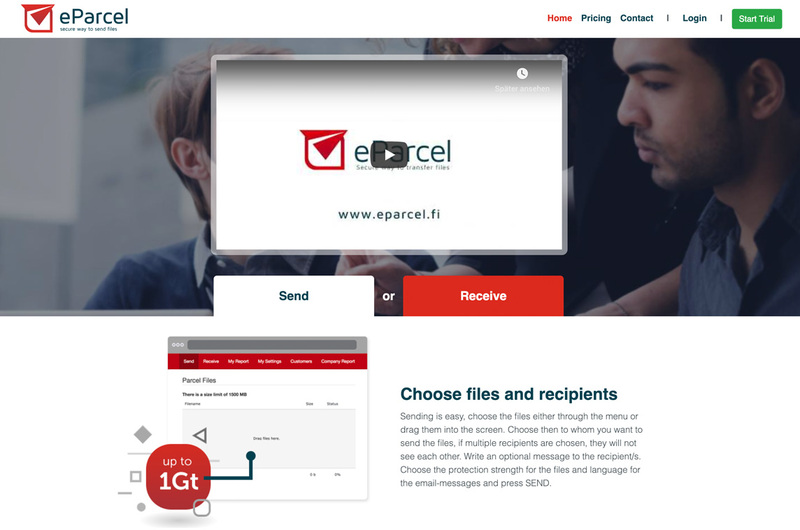 "eParcel is a secure file transfer service to replace E-mail attachments. Users can send files to anyone and they can receive files from anyone. Max filesize is 10 gigabyte and in high security mode passwords are sent by SMS. Current language options are English, German, French, Spanish, Swedish and Finnish. eParcel is built completely with Laravel Spark and Vue.js." 🌶 Spicy Uptime Simple and Free up/down monitoring for everyone.